Cross and Cutlass: Book and Personal news! Most of you probably already know this, but The Falcon and the Sparrow Ebook is FREE. Yup, completely FREE right now. However, this is the last day so click on the links below and get a copy, or send a copy to a friend. If you don't know anything bout the story, click here for a complete description. 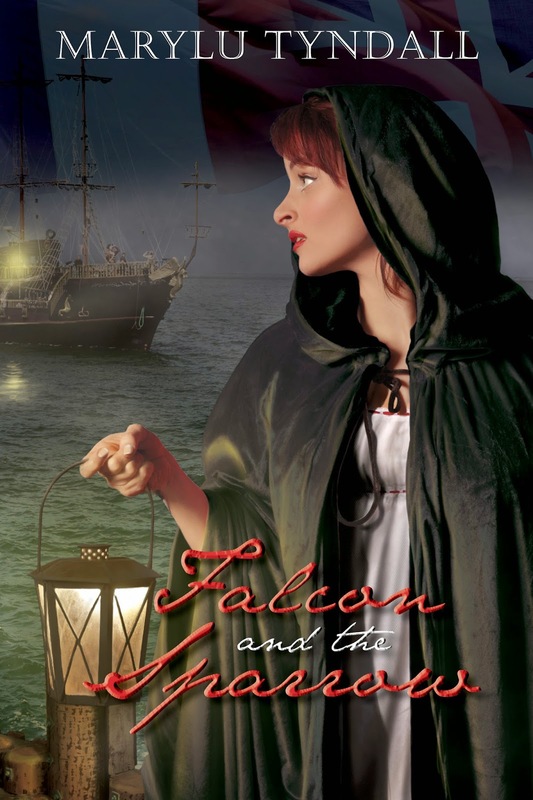 The Falcon and the Sparrow has been a fan favorite ever since it released, so check it out! 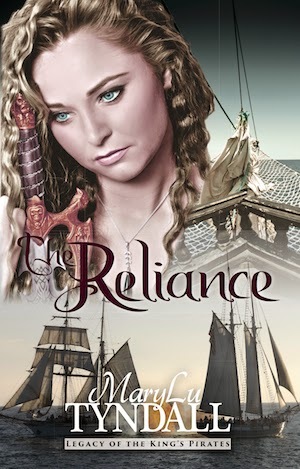 Also, I recently released The Reliance in digital form. It has a spiffy new cover that many either love or hate. LOL. But I like it. I think it captures Charlisse's mood, her determination and also sorrow as she faces her many trials. I've priced it a little lower than the other ones in the series, so now's the time to pick up a copy! I'm currently rewriting The Restitution, the third book in the series, and hope to put that out in digital form with a brand new cover in just a few weeks. Then it's back to my mermaid story, Tears of the Sea, which will release early next year. It's coming together nicely and I think you're going to like it. I've taken up a new hobby! It's called a Salt-water Reef System. This is no ordinary salt-water aquarium. This is trying to mimic an actual live reef, complete with all the live rock, coral, and tiny creatures that live on the reef. 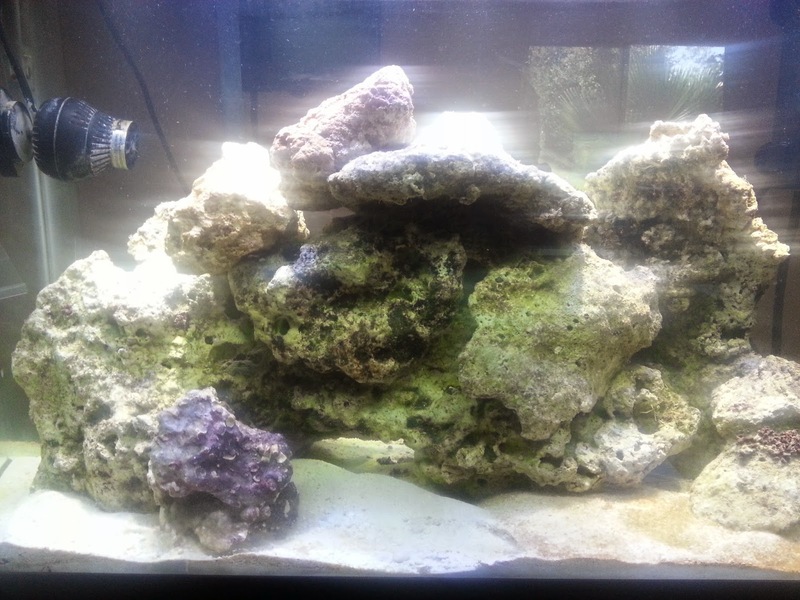 The first step is to fill a tank with water and add reef salt until it is the right salinity. Then add sand and what they call live rock, which is rock harvested directly from reefs that contains all sorts of live organisms. You add a bio-filter, protein skimmer, cool LED light system and pumps that mimic the flow of tides in the water. Then you enter the cycling phase where the tank has to cycle through various phases where the ammonia, nitrites and nitrates rise and fall until they end up in the perfect amounts and the water is healthy to add little creatures. This normally takes several weeks. That's where I'm at now. Thankfully, my son, who is really good at this stuff is helping me. Here's a picture of my tank now. Now here's what a mature reef tank looks like. Where I hope to be someday! 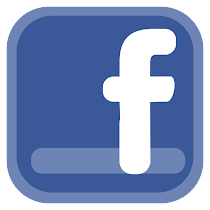 I'll keep you informed of my progress. 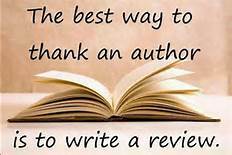 Great to hear about your 're-writing' of the Pirate series ... although, in honesty, I love them the way they already are. "Tears of the Sea" sounds most intriguing !!! It will be a real change for you, and I'm greatly looking forward to it ! And your hobby, and newest adventure -- that of creating a salt-water reef system ... sounds incredible !!! What a transformation from the 'start' to the 'mature' system ... and looks beautiful ! Way to go. And, glad your son is helping you out. Yes, it is indeed "cool" !!! Thanks for sharing. Well, I'm off and running .... to Beamsville today, babysitting my two youngest grandchildren. Thanks for the info about The Falcon and the Sparrow being free!!! I just downloaded it! YAY!! Have a great weekend. Love your new hobby! Thanks for the book info, MaryLu - can't wait for "Tears of the Sea"!! Received, yesterday, five of your books and earlier this week, the other three I ordered - enough reading to keep me busy for a while (LOL)!! 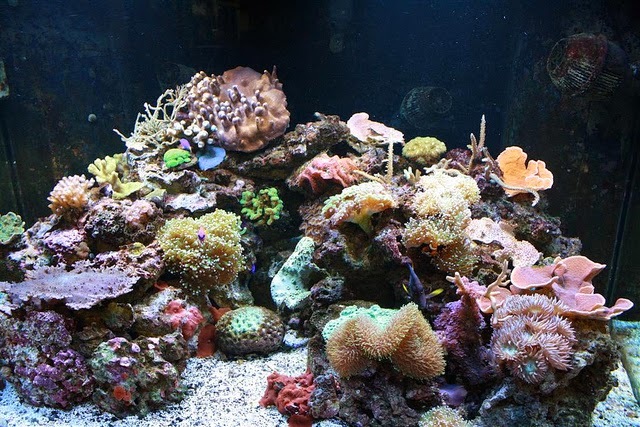 The salt-water reef system is an amazing idea and the pic of the mature tank is absolutely beautiful!! I had never heard of this - certainly a step above a regular fish aquarium, that's for sure!! Any idea how long it will take for your tank to reach the status of the mature one in the pic?? Looking forward to seeing more pics of yours!! Prayers and hugs for you, MaryLu!! What a cool hobby. Praying it turns out beautiful. Hugs!